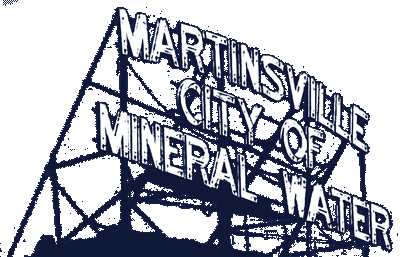 Mayor Shannon Kohl called the Martinsville Common Council to order on Monday, August 20, 2018. Councilman Ben Merida led the Prayer to those in attendance. Mayor Kohl then led the attendees in the Pledge of Allegiance. A motion was made by Councilman Eric Bowlen to waive the reading of the minutes of August 6, 2018 and to accept the minutes as written. Councilman Terry Buster seconded the motion. The Motion passes 5-0. Councilman Kris Fuller abstained due having been absent. Mayor Kohl announced the City will conduct a public 2019 Budget workshop on August 28th beginning at 10:00 a.m. Other announcements include: Street Department has taken possession of a new snow box and backhoe and crosswalks in school zones has been striped. Mayor Kohl requested three Police vehicles be declared surplus. The vehicles were donated to Pike Township. City Engineer Josh Messmer reported Community Crossing Phase I and II is finished. Nearly four (4) miles have been paved. Messmer reported the Martinsville Redevelopment Commission has agreed to fund the mapping project that will be conducted by Banning Engineering. Finally, Messmer presented a change order from Roberts Construction regarding the downtown water pit project. Nearly 135’ of water line had to be replaced as it was discovered the existing pipe was crumbling. The amount of the Change Order is $37,000.00. A motion to accept and allow the Change Order was made by Councilman Eric Bowlen with Councilman Terry Buster seconding. The Motion passes 6-0. Ordinance 2018-1778 / Knox Box – Fire Chief Terry Anderson reminded those present, this is the second reading of the ordinance. A motion to accept and allow the ordinance was made by Councilman Kris Fuller. Councilman Phil Deckard II seconded the motion. The Motion passes 6-0. Teamster Contract 135 – Discussion of the Teamster Contract resulted in City Attorney Anne Cowgur agreeing to research if it would be legal for the Council to have an executive session. A motion to table action was made by Councilman Kris Fuller. Councilman Phil Deckard II seconded the motion. The Motion passes 6-0. Ordinance 2018-1785 / Additional Appropriation EDIT Professional Fees – James Jump of Reedy Financial Group presented the request for additional funding to the Professional Fees line in EDIT. Jump explained the increase is necessary to get through the end of the year. He said some unforeseen events has happened that could not be planned for. He mentioned continuing work on the White River Levee certification and the purchase of alcohol permits by the City. As this was the first reading, the Council elected to suspend the rules of the first reading. A motion to suspend the rules was made by roll call vote: voting YES: Councilmen Buster; Lanam; Deckard; Bowlen; Merida and Fuller. The Motion passes 6-0. A motion to make this the first and final reading to adopt the ordinance was made by Councilman Eric Bowlen. Councilman Terry Buster seconded the motion. The Motion passes 6-0. Citizen John Badger expressed concern over concrete work in from the BMO Harris building. DPW Craig DeMott said the area is not finished and will be completed in the near future. A motion to accept the claims as reported was made by Councilman Kris Fuller and seconded by Councilman Terry Buster. The Motion passes 6-0.